I got a new cookbook for Christmas from my daughter Krista. It is the Joy of Cooking cookbook. I had checked it out of our public library and Krista knew that I had enjoyed reading the recipes, so she decided to buy it for me. I thought that was very thoughtful of her. This cookbook is chockfull of wonderful recipes and I am excited to post my first recipe that I tried from it. As anyone that follows my blog knows how much I like to make homemade bread. I found a recipe for pita bread in the cookbook and I knew that I had to try it. 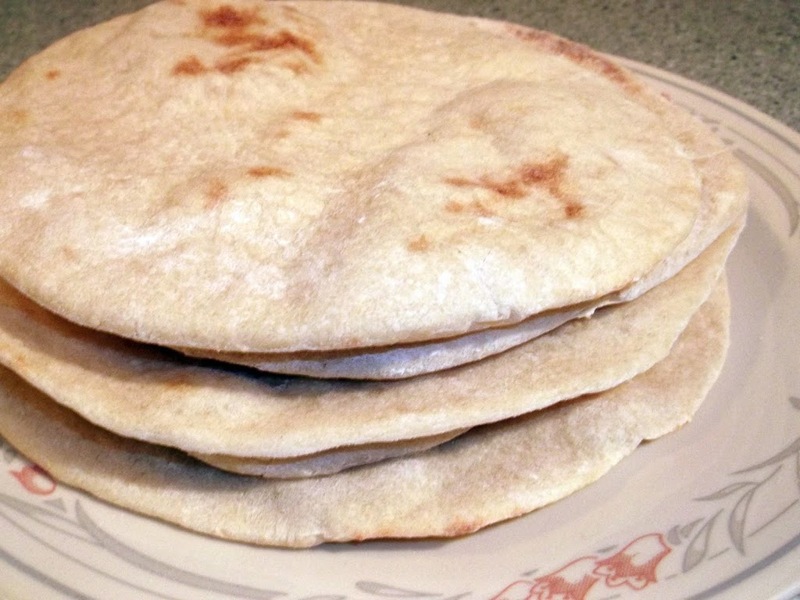 I never thought that you could make your own pita bread. This may sound silly to some people, but something I have wondered about when it comes to pita bread was; what makes the pocket in the bread. I found out that it is baked at a high heat on an inverted baking pan or a pizza stone. Also the pan is heated and that the pan is sprayed with a mist of water before you put the bread on it. The bread is baked at a high heat and as it bakes the bread it is supposed to puff out into a balloon shape, this is how it separates. I am not sure what makes it puff out into a balloon shape, it probably is the combination of things. So that is how pita bread get its pocket. I am not sure if mine turned out quite the way it was supposed to, but it was flavorful and it had the texture of the bread that you would purchase in the store. The problem that I had with my bread is that it didn’t balloon too much so it didn’t separate all the way; we had to cut it to make part of the pocket. I served this bread with ground turkey and few other items. The ground turkey combination was my take on a gyro sandwich. I will share that on my next blog post. Over all the bread was fun to make and I guess I would call it a learning experience. Combine the above ingredients in a large bowl or the bowl of a heavy-duty mixer. Mix by hand or on low speed for about 1 minute. Knead for about 10 minutes by hand or with the dough hook on low to medium speed until the dough is smooth, soft, and elastic. Add flour or water as needed; the dough should be slightly tacky but not sticky. Transfer the dough to an oiled bowl and turn it once to coat with oil. Cover with plastic wrap and allow to rise at room temperature until doubled in volume, 1 to 1 1/2 hours. On a slightly floured surface, roll out each ball of dough into a thin round, about 8 inches in diameter and 1/8 inch thick. Spray the stone or baking sheet with a mist of water, wait 30 seconds, and then place as many dough rounds as will fit without touching each other directly on the hot surface. Bake until the dough rounds puff into balloons, about 3 minutes, then bake 30 seconds longer and immediately remove the breads to a rack to cool. If you leave the breads in the oven too long, they will become dry and will not deflate to flat disks. Bake the remaining rounds. Your pita bread turned out great! I made it awhile back and was convinced it was not going to puff up. It’s kind of magical the way it does that. 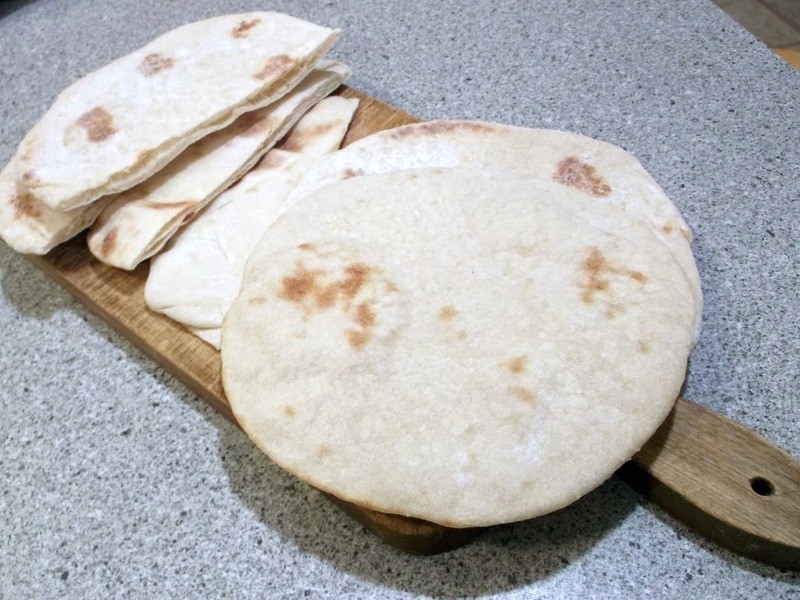 Homemade pita bread is right next to homemade tortillas on my to-try-soon list – these look great! I’ve never made pita… yours turned out great! 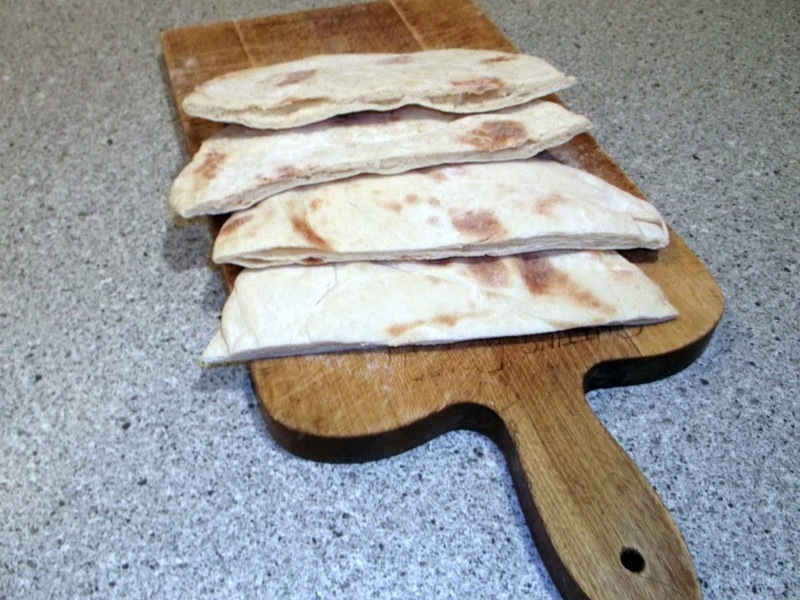 Amazing, homemade pita bread…looks great! Your pita bread looks perfect. And it’s lunchtime here in Sydney and your bread would be absolutely perfect for a great lunch.